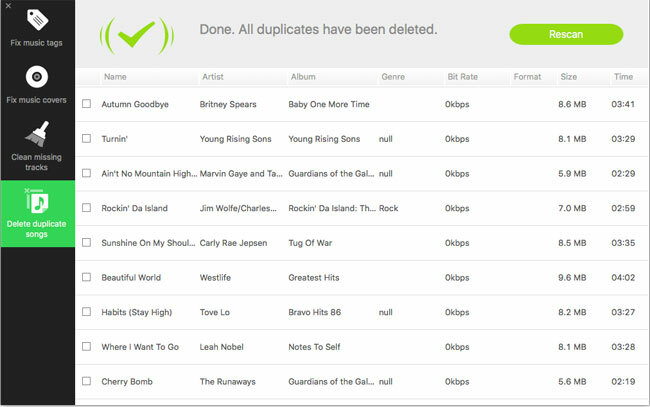 If you have thousands of songs in your iTunes Library, it might take you a couple of hours to clean up the music library: delete duplicate and broken tracks, fix music covers and tags. 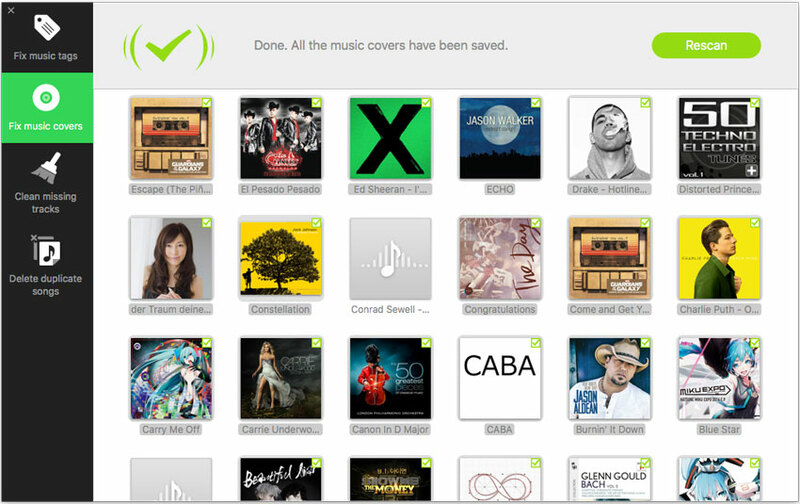 Let iMusic do the tasks for you, saving you more time to have coffee or for entertainment. 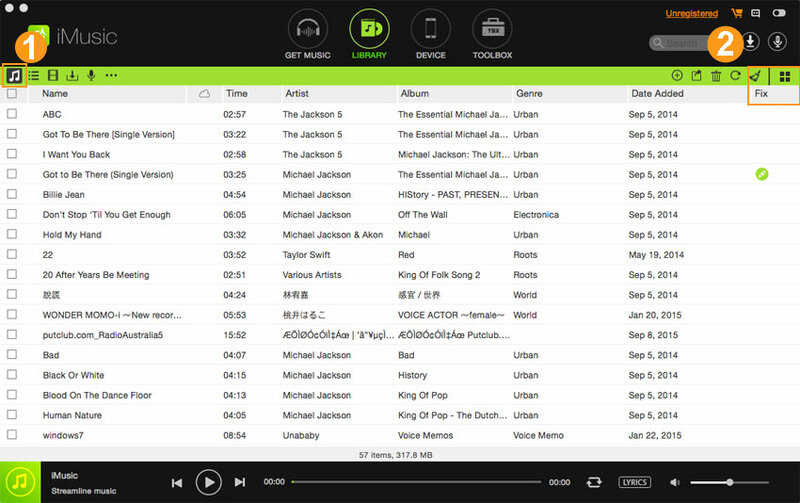 Launch iMusic on your PC or Mac. And then click “ITUNES LIBRARY” menu on the top of the software to enter the management for iTunes library. After then click the music icon on the left side of the window. Click the cleanup icon on the right side of the window, the fourth one. 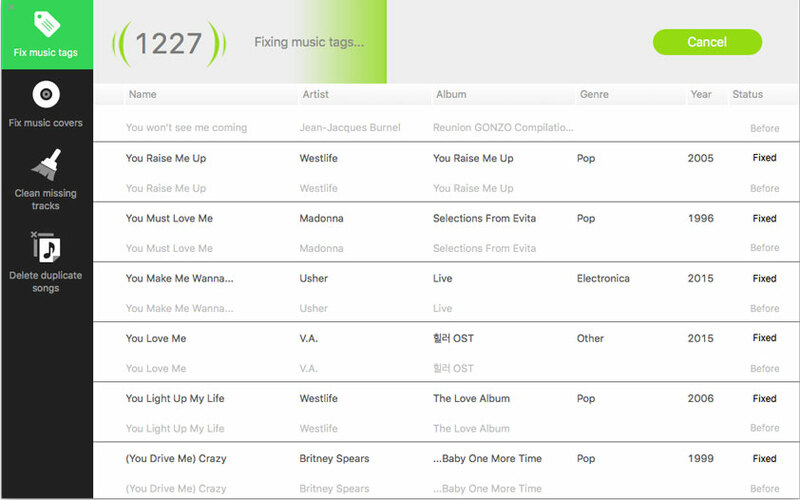 Click “Scan” in the pop-up window, letting iMusic scan for the broken, duplicate and miss labelled songs for you. The duration of the scanning process depends on how many songs are in your iTunes Library. If you have a big iTunes Library, then it might a few minutes. 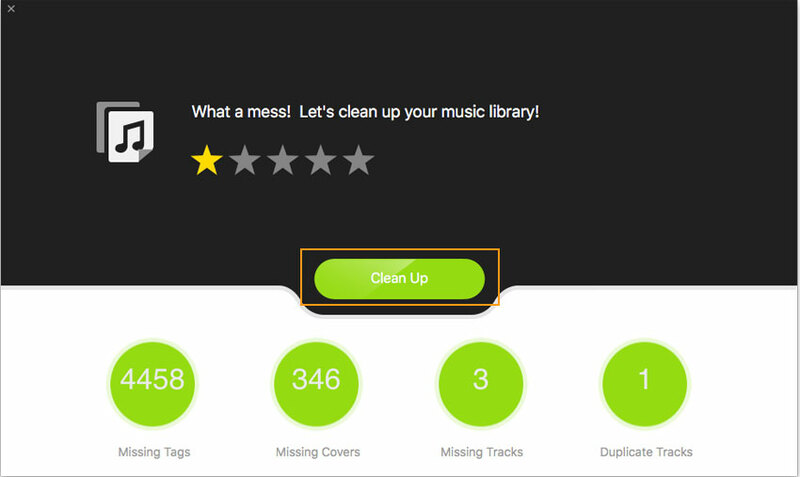 The amount of missed tags, covers, duplicate and broken tracks will be displayed in the result window. Click “Fix” to let iMusic fix them all for you. 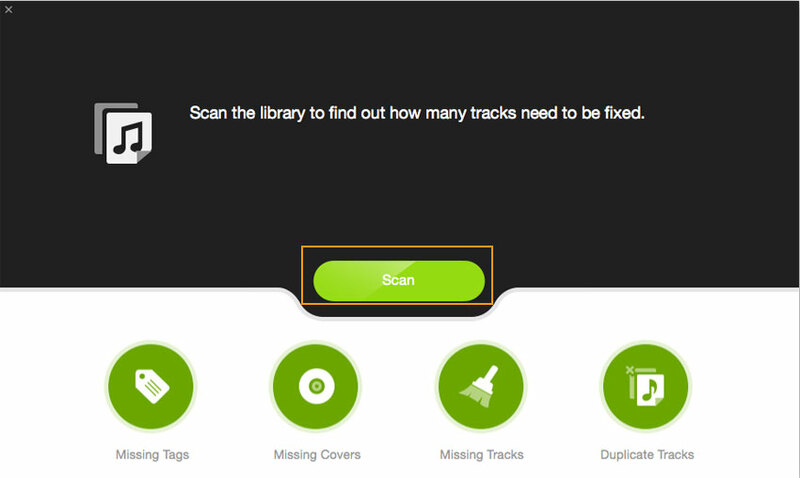 If you want to do the fix one-by-one, it's OK. Click to select the type: “Missing Tags”, “Missing Covers”, “Duplicate Tracks”, “Missing Tracks” to begin. 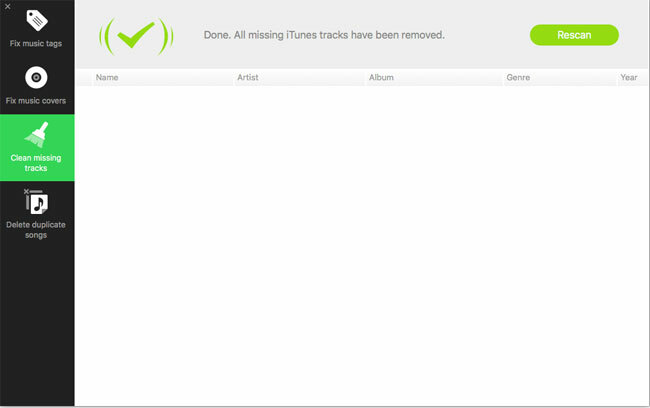 When the process of fixing iTunes Library is finished, a window will pop up, telling you that everything is done.